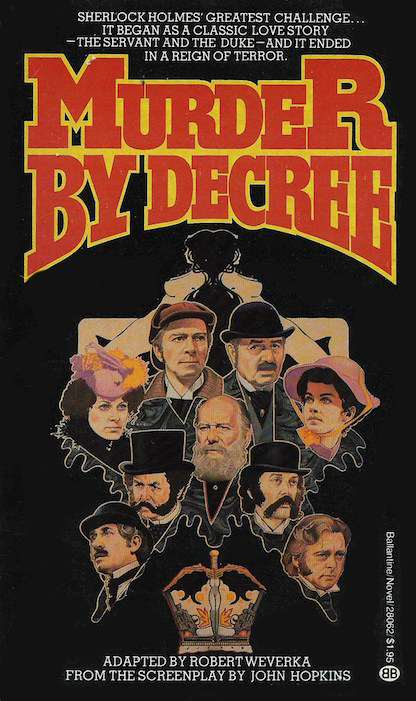 Novelization of the 1979 film starring Christopher Plummer as Sherlock Holmes and James Mason as Dr. Watson. A good Holmes vs. Jack The Ripper tale incorporating a popular Royal conspiracy theory of the day. He committed acts of unspeakable horror. He ruled the shadows and the back alley. He pursued his suspects with unfailing instincts.